Commissioning British art portraits and art commissions. 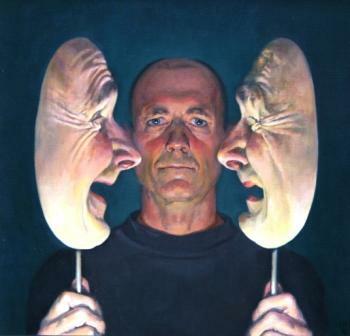 An artist can be commissioned to produce any type of contemporary painting or sculpture. This includes everything from Landscape paintings, Architectural paintings or Marine paintings through to paintings of Figures. 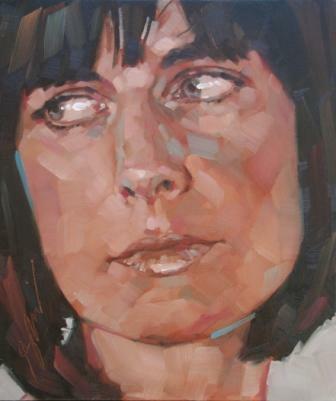 One of the most popular British art commissions continues to be Portrait paintings. It is a good idea to produce a written brief for the art gallery and artist. Your art brief should communicate your ideas and requirements about the completed contemporary art piece. An art brief is beneficial when discussing the art commission with the artist. It will also be a reminder for the artist when your art piece is commenced. Who or what is the British art work for? Is the contemporary art for your home? Are you thinking about an art commission as an Art Gift ?. Should the artist be aware of any constraints or special requirements? Is the art piece or portrait painting to be a special place or a person? Do you want a painting which is similar to other paintings you have seen? What size of art work do you want? Where will the painting be displayed? Do you want a particularly type of painting or sculpture? eg Oil or Acrylic paintings; Bronze or Stone sculptures. Is there a specific British artist that you have in mind? What other British artists do you like? Do you prefer a particular style of art? What is the budget for the proposed art work? After the brief has been agreed with the art gallery a discussion will usually be arranged with your selected artist. The artist will need to review the art brief in order to achieve a good appreciation of your requirement. Once your requirements are known the artist can decide whether, or not, he or she, is comfortable with producing the proposed art work. If you want a British artist to create a similar painting to one you have previously seen this may not be necessary. Reviewing the commissioned art work with the artist enables you to move the ideas of the art brief forward. It is important that the artist discusses the commissioned art piece to obtain a thorough brief of the requirement. Art commission agreements differ depending upon the requirement. Often the art gallery representing the artist will document details on: the artist; materials of the art work; and the anticipated timescale to complete the art work. Both the artist and you will be given the written brief. The degree of documentation depends upon the complexity and price of the art commission. If you are commissioning a major art project then the roles and responsibilities of the parties will need to be agreed. This is not normally the case where you commission a family portrait or painting of your favourites place. Before commissioning your art piece or works the price and payment should be agreed with the art gallery or artist. If it is a major art commission the payment for the art work will typically be linked to the artist achieving deliverables. Normally a 30-50% deposit of the agreed price is paid up front for the art commission. Once the artwork has been commenced this deposit is non-returnable, even in the unlikely event that the final artwork is rejected. A second payment can sometimes be made mid way through the creation of the art and the final payment on completion and delivery of the artwork. British Artists work in different ways. Generally, but not always, artists produce initial sketches or models before commencing the final artwork commissioning commences. After that some artists may provide on-going views of the art work such as digital images but often you will not see your art work until it is complete. Reviewing progress with the artist is recommended on very large scale commissions. The number of meetings required will depend upon the size and scale of the art commission. Finally - copyright laws means an artist retains ownership of art work. If you wish to own copyright this will need agreeing in advance with the artist.